Vnc4server is a free vnc server, that will act as your X environment, and fluxbox is a tiny window manager; more than enough for UI testing. $ vncserver :10You will require a password to access your desktops. and your build goes on, able to create a UI during the tests ! This can be very useful whenever your UI gets stuck (waiting on a dialog to be closed …, in my case I run into the issue of launching an eclipse runtime, and a plugin, Google ADT, was asking to confirm whether or not I wanted to upload usage data– hopefully only the first time) during the tests. # ps aux |grep "vnc"
OK, looks like xvnc is listening on port 5914 in this case. 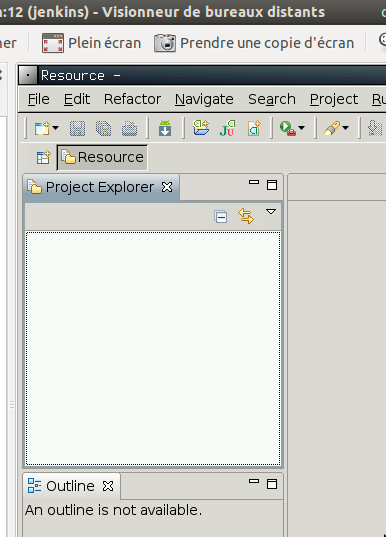 You can then use a vnc viewer (on ubuntu, vinagre is a good choice) of your choice to connect to your ubuntu box on port 5914.
then connect your vnc viewer to localhost:5914 , and the magic begins ! 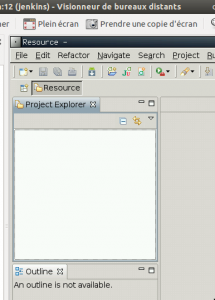 The author, Ricardo Gladwell, designed exclusively integration tests on the UI, since most of the functionality of this eclipse plugin is UI contribution. Overall, that was a good exercise to practice CI on a UI project.